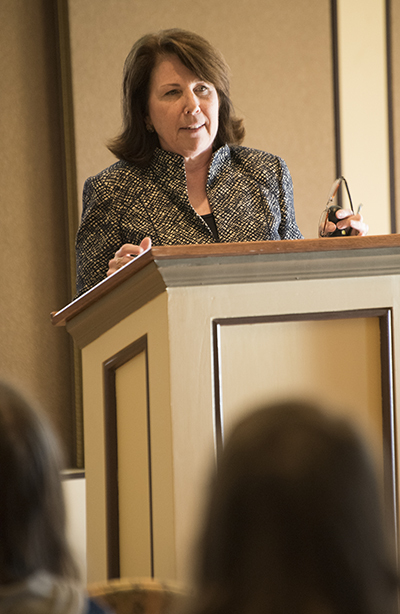 Education students at Lycoming College learned about the mission and challenges of charter schools that cater to students in under-served school districts from Jolene Hall Sloter ’80 during a presentation held at the College. Sloter is the chair of the board of directors for Rocketship Education’s Washington, D.C.-based schools. The non-profit education organization has schools in four major metropolitan areas, including D.C., with organizational and managerial structures tailored to the unique laws and needs of each state. The first Rocketship elementary school opened in the capital region in the fall of 2016 and a second elementary school is expected to open in the fall of 2017. To serve areas with the highest-need, the publicly-funded schools were located in neighborhoods with little tax base, and where nearly all students were achieving below national levels for their grade. Sloter outlined the three core elements of Rocketship schools: personalized learning, engaged parents, and excellent teachers and leaders. The schools personalize learning by matching students with the right content at the right time to meet their individual needs, and by providing a dynamic setting and updated technology. Frequent, timely assessments help teachers monitor progress and adjust instruction. The schools also include programs that address the social, emotional, and behavioral aspects of learning including psychological and educational counseling, in-school and weekend meals, after school programs and home visits. Rocketship also provides more than 300 hours of professional development and coaching to develop transformational teachers with specialized skills. Principals and other leaders likewise have a robust professional development program. One of the biggest differences with Rocketship’s approach is the training given to parents to help them support their children’s education and advocate for better options for their families and communities. “Many of our students’ parents have been disenfranchised,” said Sloter. “We teach them that they have the right to demand a good education and teach them to vote to help move the educational needle for their children. Rocketship schools remain true to a simple, but sustainable business model: provide services within the state’s per pupil budget system, build schools financed by the private sector and leverage national resources. Sloter has a bachelor’s degree from Lycoming College and a master’s in business administration from University of Pittsburgh. She worked for Corning Glass Works in strategic planning for several years before transitioning to the federal government where she worked for an independent commission charged with making recommendations to Congress about Medicare. Her policy experience helped her guide efforts to analyze educational issues in the District of Columbia area and identify concepts and organizations that improve the quality of education across low-income communities. 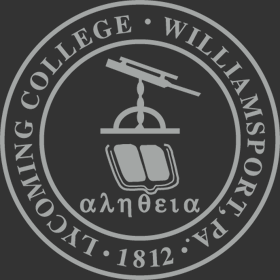 Jolene and her husband established the Stanley and Jolene Sloter Family Foundation that focuses on education, and have established the Stanley and Jolene Sloter Scholarship at Lycoming College.